Recently, IFCK Philadelphia's Delores Capers was featured amongst many prominent members of our West Philadelphia community during a celebration event designed to draw positive attention to restaurants that encourage healthy eating along parts of the commercial corridor located along 52nd Street. The event, "A Healthier Eating Lifestyle", featured healthy, vegetarian food and was coordinated by the Mayor's Office of Fitness, Ms. Gwen Foster, and members of the Seventh Day Adventist Church. Chefs prepared only vegetarian dishes for sampling such as meatless meatballs, barbecue tofu, vegetable wraps, various fresh salads and stir-fried vegetables. Delores assisted with preparing and serving the sampling dishes and also did special outreach to the neighborhood children who came to the restaurant. 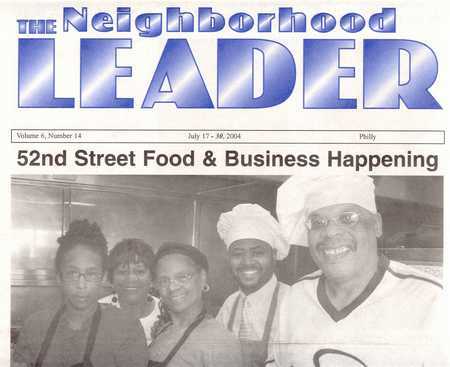 Delores's connection to the West Philadelphia community through home safety workshops and community tours for new residents of the Children's Hospital, along with The Children's Hospital's substantial contribution ($250,000) towards the renovation of Malcolm X Park, contributed to her invitation to participate as a "celebrity chef" by Shirley Randleman, President of the 52nd Street Arts, Business and Cultural Association. Delores has also been involved with promoting the 52nd Street Business Corridor and serving on another committee of Randleman's organization, the Philadelphia Beauty Show National Historical Museum (which is scheduled to dedicate a mural honoring men and women in the beauty and barber industry later this year).